View the photo gallery below and vote for your favorites! Simply click on the photo, then click vote! Remember, you can vote once per day per photo. So come back tomorrow and help your favorite pomsky win! Need help finding a pomsky? Or need help managing and training your pomsky? Checkout some of our free downloads including list of 40+ verified pomsky breeders and our “how to train” guide for free! 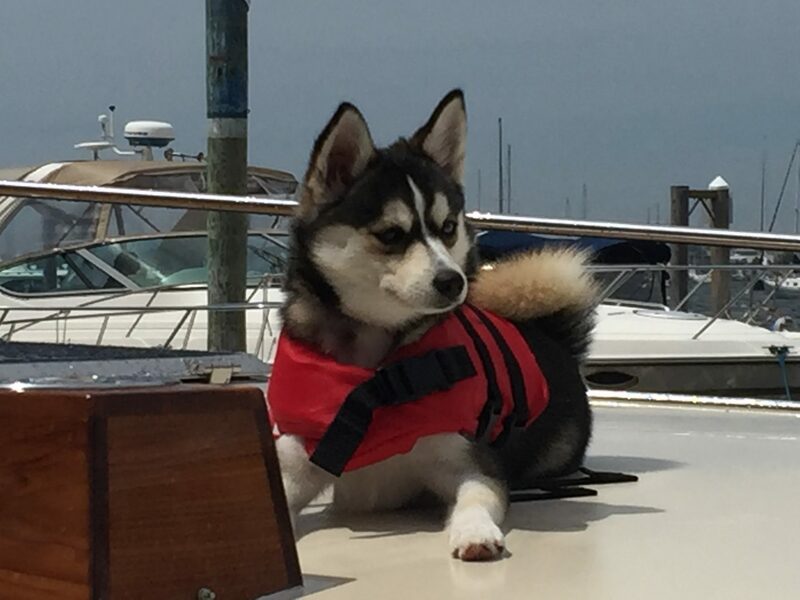 Luna loves to hangout on her boat. Her agility enables her to go from the helm to the bow to guide her human captains. She is a perfect first mate and would love your vote. Safe boating! Beautiful and smart pup! Loves to go on the paddle board, bike, and boat. Cute as a button! Luna looks a bit like my pomsky Sansa. You can view her pic that includes my other pomsky where they are looking opposite directions.